Virtualization and cloud computing technologies are changing the landscape of computing. By taking advantage of this technological wave you can virtualize your existing physical servers, storage, networking and other devices that make up your current infrastructure. If you are searching for ways to improve your physical data center, virtualization may present the answer you seek. You can read more here about data center virtualization, but for now let’s look at eight benefits that you will enjoy by virtualizing your data center. When one of your physical servers fails, redeployment time is dependent on several factors. You need to have a backup machine available and have current and valid images of your server to be used for restoration. Virtualization minimizes these issues by using Virtual Machine snapshots to redeploy your server with little or no downtime to impact your users. In addition to traditional backups of your virtual server, snapshots and backups of all of your virtual machines can be taken. You can have snapshots scheduled periodically throughout the day making current images available for deployment on other servers. Snapshots start a machine faster than backups, thereby minimizing downtime. Virtual environments make an excellent test bed for new servers and applications. Snapshots make reverting to an older version when a test goes wrong fast and simple. You can also easily create testing environments that are segregated from end-user access. Current snapshots of your servers and virtual machines can streamline your disaster recovery procedures. By including a backup if your network addressing scheme, you can recreate your data center in any virtual environment, even if the data center hosting your virtual machines experiences a disaster itself. This leads to more robust disaster recovery and ensures your business will keep running. The abstraction between hardware and software that is inherent in virtualization opens possibilities as new technologies become available. Your virtual environment can take advantage of the flexibility of using new hardware or software platforms. Virtualization will eliminate the need to house multiple applications on a single physical server in order to reduce costs. Now your e-mail, web, and database servers can all live by themselves on their own virtual server. This lead to more reliable functionality across your organization. Employing virtual machines rather than physical servers puts you one giant step closer to creating a full cloud environment. VMs can be used to create a cloud-based infrastructure, and you can eventually move to a total cloud infrastructure. 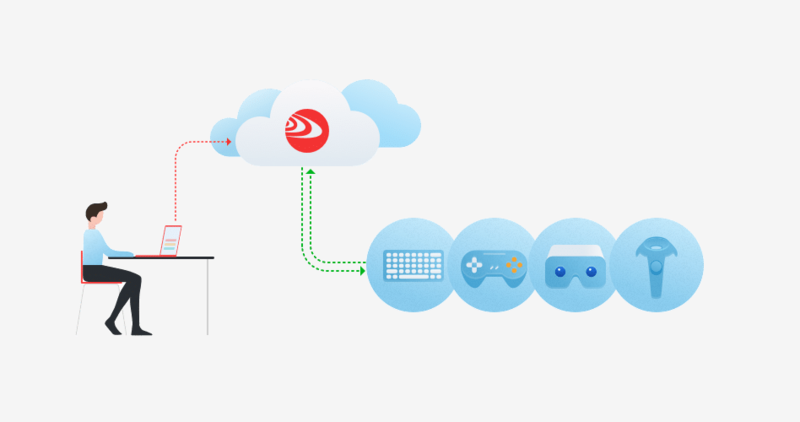 All of your connected devices can be accessed in the cloud by using this virtualization technology implementation. Virtualization allows you to use less servers as you take advantage of the economies of scale provided by your data center host. This leads to greatly reduced costs associated with cooling and electricity use, reducing your carbon footprint and making you more attractive to environmentally aware consumers. It also reduces hardware costs, which may be the most expensive component of your current data center. Put together, these factors make virtualization a real money saver. With all of the benefits available through virtualization, you need to start moving your data center toward the virtual space. A great first step is in using port virtualization technology. You may just want to virtualize a few servers at first, but after you realize the benefits, may be on the path to full data center virtualization. Doris Lane is Marketing Manager at Eltima Software, the leading Port Virtualization Technology development company. Eltima solutions are being used for industrial automation purposes and for reliable network infrastructure design.